Hotel Liang mean Hapiness in Balinese language. As villa name, the villa makes people happy and gives you delightful time. 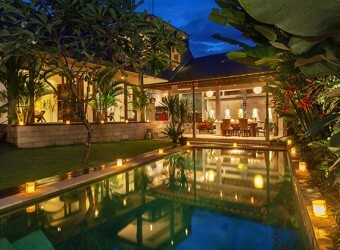 The villa located Batubelic where near by Seminyak area. You can access to famous restaurant by walk. It is perfect villa for guest who want to relax with calm atmosphere. Enjoy their beautiful garden too.